We receive the most calls for septic alarms, repairs, and failures during the spring, so we thought it would be a good time to explain why! 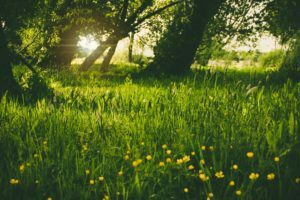 Why your septic backs up in the spring…. With all the snow melting and rain coming down, the ground is pretty saturated already. So when additional water from your septic flows into your leach field, it can exceed capacity and overflow. 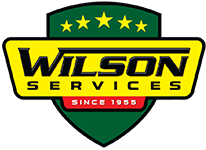 Unfortunately, if your septic field isn’t functioning well, this will be the time your septic fails. But there are ways to be proactive about the problem. If it’s been a while and you’re having a party, you should definitely consider this if you’re expecting a lot of guests at your home during this time of year. Cleaning out the septic tank removes the accumulated sludge from the tank, helping to keep that sludge from working its way out to your drain field. A baffle filter is also a great upgrade to help protect your drain field. Again, if you’ve been maintaining your septic, you should only need pumping every two – three years. But we’ve found many people wait longer than that. Waiting longer can allow too much sludge to accumulate in your tank, and there won’t be room in the tank for new waste to settle out. Being proactive will save you money! Your septic is a big investment that people seem to forget about (we get it – it’s underground). BUT a septic system can be less expensive than than being on public sewers over the life of the system if you take care of it. We want to help you do that.